Stair lifts are becoming more common in homes because of the benefits they offer the elderly and those who have physical limitations. As it becomes more difficult to use the stairs in your home, a stair lift can give you back the mobility you once had. 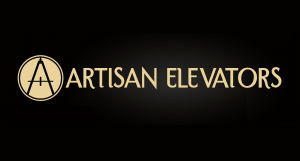 Because of its popularity, the prices for stairlifts in 2013 will be more affordable than ever. It is a reality that many people struggle with simple tasks in their home like walking up and down the stairs. For many, this takes away their independence and may force them to leave their home for an assisted living community. A stair lift can give you back your independence and allow you to enjoy your life in your home. 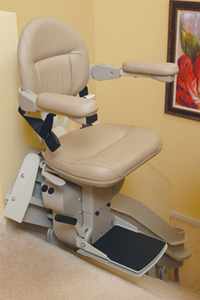 Ranging in price from $1,500 to $8,000, having a stair lift installed in your home is very affordable. There are many different types of stair lifts with different features that will fit any budget. Base model stair lifts with just the necessities will be at the bottom end of the price range. It is optional features and curved tracks that will drive the price up towards the higher end. Basic stair lifts will have a straight trackthat will quickly and safely carry you up and down the stairs. They will have a seat that comes with arm rests, a foot rest, and seat belt. Stair lifts have a low cost of ownership because they use very little energy and rarely need maintenance. They use a rechargeable battery that charges whenever the chair is not in use, allowing for you to use your stair lift even in a power outage. Stair lifts that use a straight track are easy to install and the price will mainly reflect how far the lift needs to travel. More expensive stair lifts are the ones that require a curved track. Many staircases take a turn before they reach the next floor. When this happens, a custom curved track must be manufactured to fit the dimensions of your home. The curved track stair lifts will come with all of the same features of one that uses a straight track, it will just be more expensive. The benefits you will receive from a stair lift will make it a priceless investment. The peace of mind you will have from being able to live independently and having the mobility to access every area of your house is something you can’t put a price on. There are so many different models and options that you will be able to find a stair lift that fits your budget.